We do like Mondays, and especially today. High pressure has slunk in from the west, smoke from burning olive logs rises vertically with no buffeting breeze, and there’s barely a sound. The low sun means sunglasses are needed as much now as in the scorching summer months; it’s a special time of year. 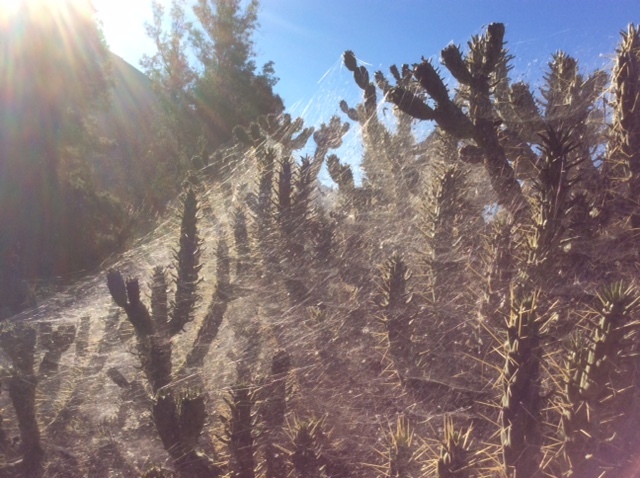 On a walk today we spotted this cacti with, what seemed, a cloud of spiders’ webs. If anyone knows more, please tell. 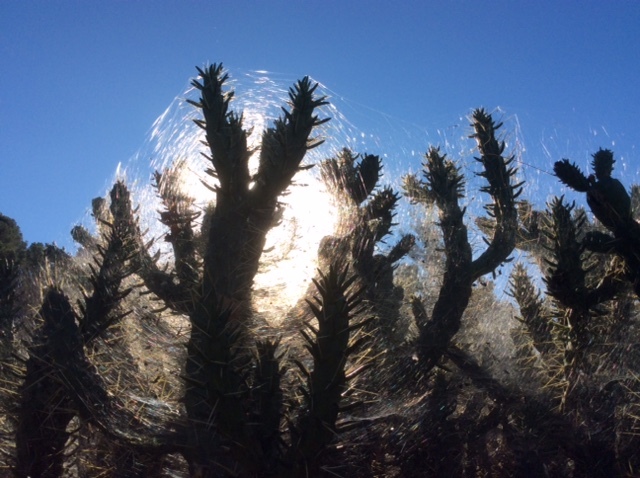 In this quiet earth, in Andalucía. Good for you! All of Madrid has descended upon Toledo, one cannot shake a bocadillo (never mind a stick) in the street! Tomorrow, the madness will be over, thank God.